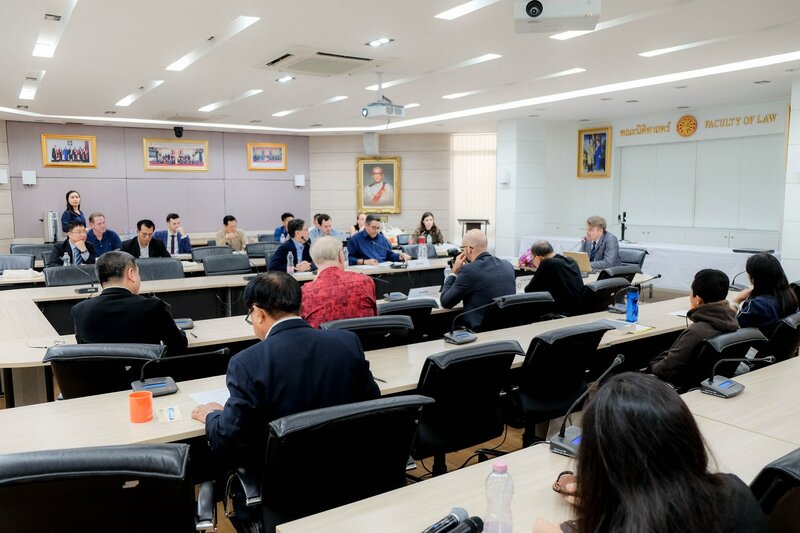 On 21 March 2019 CPG held a seminar on “Eurasia’s Geopolitical Outlook for 2019 Revisited” at Thammasat University. 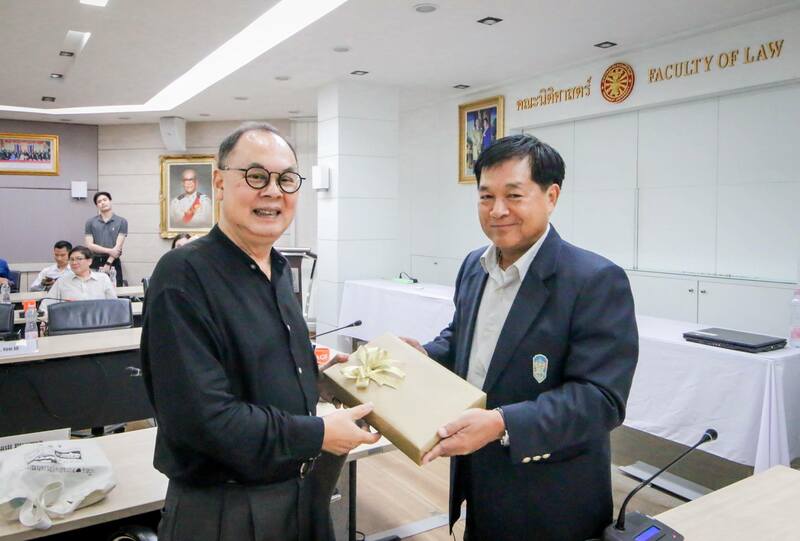 The lecture was distributed by Henning Glaser, director of CPG at Thammasat University. Mr. Glaser starts the lecture to address the two topics, Global framing, which are defining the geopolitics of Eurasia and the basic power dynamics, he has selected. He sees the world order to be divided in two different dimensions, the institutional normative liberal international order and on the other hand the balances of power. He explains in addition that in the middle of these two dimensions is a reminder that we life in extraordinary times and transformation. He is observing that the Power structure of the world is going through great transformations right now. 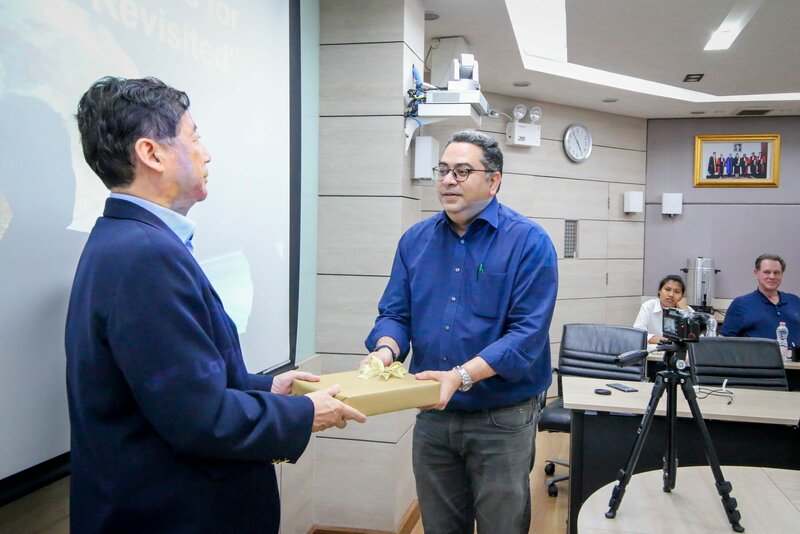 He states that globalization is taking more and more the shape of Geo-politicization, which means, that real politic in terms of geopolitics is taking the lead on global order in our days. Mr. Glaser refers here to three developments that are interrelated with the balances of power: 1st the rise of China, which is challenging the current superpower US, 2nd is the new alignment pattern and new rivalry between powers, and 3rd is “Eurasiazation” of politics, which means it is not just geopolitics, which matter more but geopolitics of Eurasia which matter the most and makes Eurasia more important in terms of the new world order. Mr. Glaser than paraphrased one of the most famous analysts, Halford Mackinder, who first described Eurasia as a pivot of the world history “Whoever controls Eurasia, controls the world”. In his opinion, one indication, why this statement is true, is the fact that we have the subregions of Eurasia growing closer and interact more with each other. He also states that China is getting more involved in Europe, as Italy for example just decided to join the Chinese belt and road initiative. India is, taking a bigger role in Eurasia, by being involved in countries like Afghanistan and Iran, and is hosting a meeting of Central Asian countries to talk about the future of Afghanistan. Mr. Glaser sees the Belt and Road Initiative as the most important project in Eurasia and which will change the entire Chinese policy. He also pointed at the three dimensions of the militarization of Eurasia and explained their importance and development. Two frightening developments this year are suspected be the results coming from the IMF Treaty and we will see the end of the new Start treaty, which will mean that nuclear wars are not anymore regulated by international Law. Mr. Glaser mentioned a change about the existing world order from having the United States as the Soul Super Power (Unipolar Moment) to having two big emprises which are competing for dominance. We also have much greater entanglement between domestic politics and foreign policies, geopolitics and constitutional politics especially in the middle east and South Asia, than they were before. In the following Panel discussion, moderated by Jan Kliem, discussed H.E. 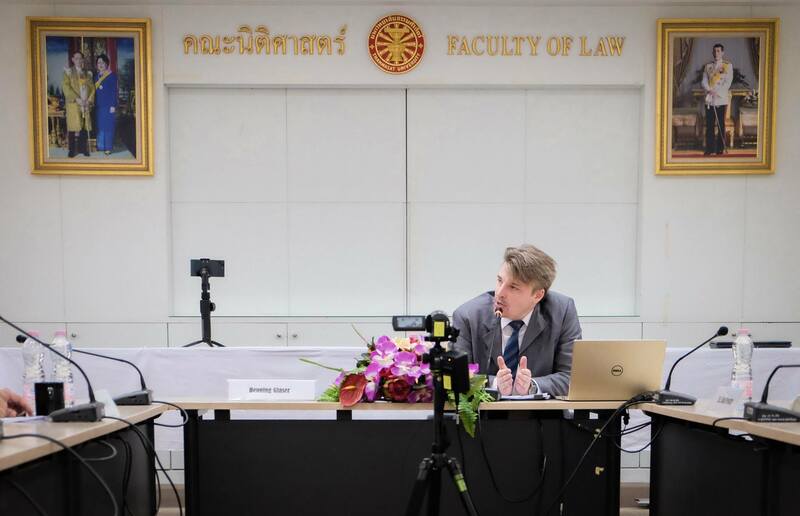 Kasit Piromya, head of the Citizen Activation Academy; former Minister of Foreign Affairs of Thailand, and Dr. Virot Ali, lecturer at the Faculty of Political Science at Thammasat University, about their perspectives on the Russian and Chinese role and influence in Eurasia.